“Did you know the horizon is the straightest line in the world,” my friend Ruane said once on our way to Lalomanu during the aftermath of the tsunami. “And the funny thing is, it’s not even straight.” I’m not sure why those words have stuck with me, but I remembered them yesterday morning when Paul and I rode the upper deck of the new boat back across the channel from Savai’i to Upolu. 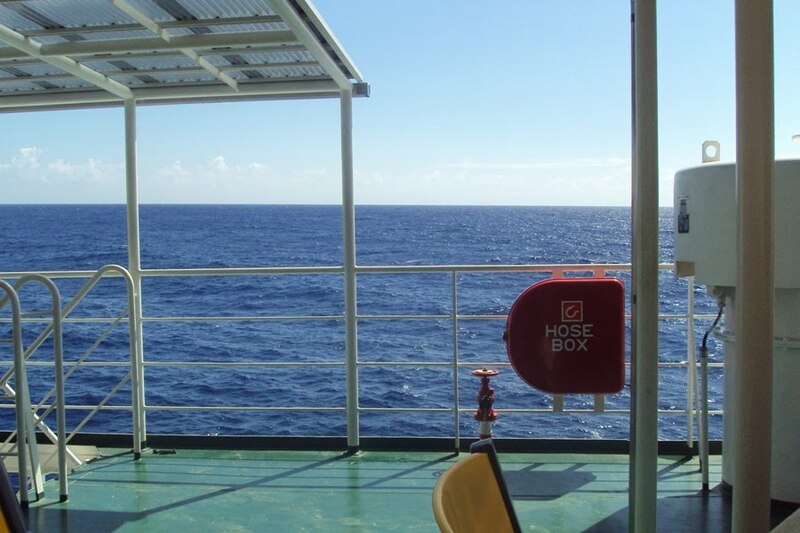 With the listing of the boat, the horizon bobbed in the distance. In Yann Martel’s Life of Pi, the survivor manual Pi finds on board tells him that from a sitting position on his tiny lifeboat, it’s estimated he has a 2.5-mile radius of sight, and I often think about that too. From 30 metres up in the air, how does my radius of sight improve? 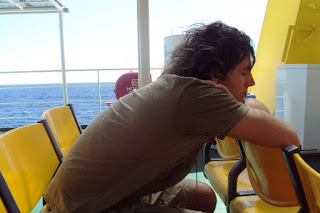 When we were slightly more than halfway across the channel, Paul pointed to one of the hills on Savai’i behind us. “My house is right at the bottom of the other side of that hill,” he said. “I always think about that when I’m on the boat—about how it’s kind of cool that I know exactly where my house is.” All I wanted to do was quantify. “How far do you think that hill is?” I asked. “Like, as the crow flies, what is that distance? 30 miles?” Paul shrugged. Distance over the ocean is always difficult to gauge. When I did the swim from Alcatraz to San Francisco, I remember I could see the finish line a mile-and-a-half away, and it seemed so close. 40 minutes later, it was hard to tell if I’d made any progress at all; the ocean always seems to look the same. Here in the South Pacific, the absence of much light pollution makes for amazing night skies. On many occasions I’ve seen a burst of lightning with no accompanying thunder because, despite the bright flash across the sky, the actual bolt of lightning was so far away the sound of thunder is nearly inaudible. But my fixation with the horizon yesterday morning seemed to flow from a more figurative perspective. The horizon is at once such a tangible border between the sky and the water, and yet so ethereal and elusive. It’s always there in the distance, just out of grasp. There’s that scene at the end of “The Truman Show” where Jim Carey’s sailboat bumps into a wall posing as the horizon; an image surreally satisfying. But really, the horizon is always at a distance. You can only be where you are. There’s all this talk about the future—what things will be like back in The States, who’s leaving on what date, grad school applications—but the fact is my group is still here for another 3.5 months. With the new Lady Samoa III, the boat ride from Savai’i to Upolu is fairly short; it’s a shame to spend the whole time staring at the teetering horizon. 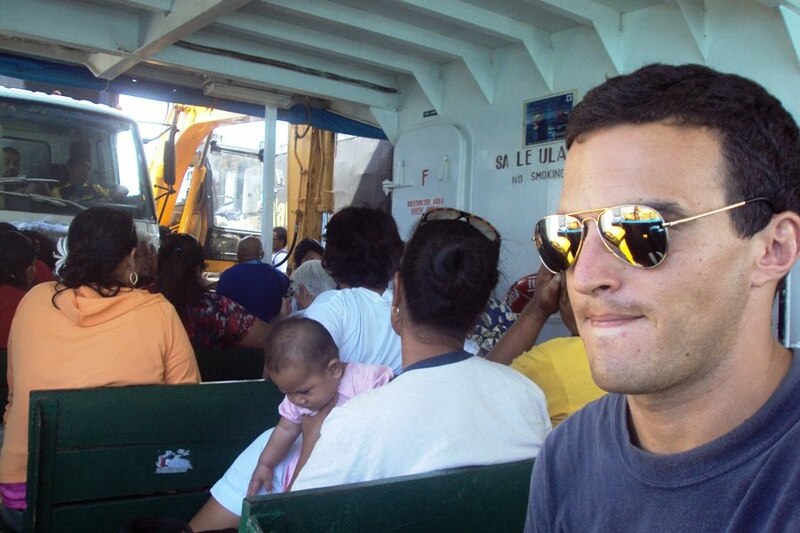 Me making a strange face on the little boat on the way to Savai'i earlier in the weekend. More GMAT Maths! This one had me stumped for a good hour tonight, and then the solution turned out to be absurdly straightforward. O is at the center of the semicircle. B, C, and D are points on the semicircle. The length of segment AB is equal to that of segment OC. Given the measure of angle COD is 60°, what is the measure of angle BAO? Your GMAT math quizzes are very discouraging, at least for some of us oldsters. I have not had to do any math except the most basic since since 1977...then I had to take math up to the point that I took calculus based physics. One would think I would remember some vestige of how to do some of this, but alas, not one iota of remembrance is there. I am going to close my eyes if you put up any more math questions, it is too depressing!